amet tellus imperdiet, fermentum quam id, tincidunt metus. 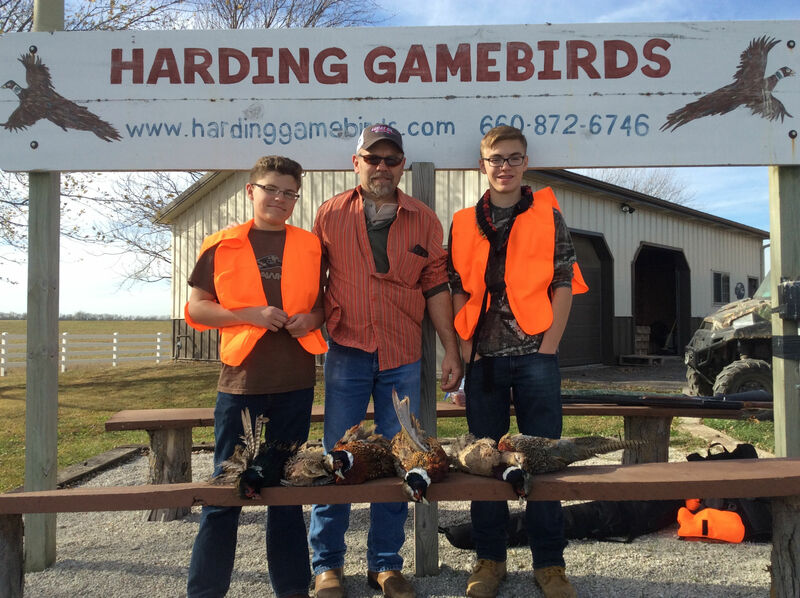 Welcome to Harding Pheasant, Chukar and Quail Gamebird Preserve of Northwest Missouri. 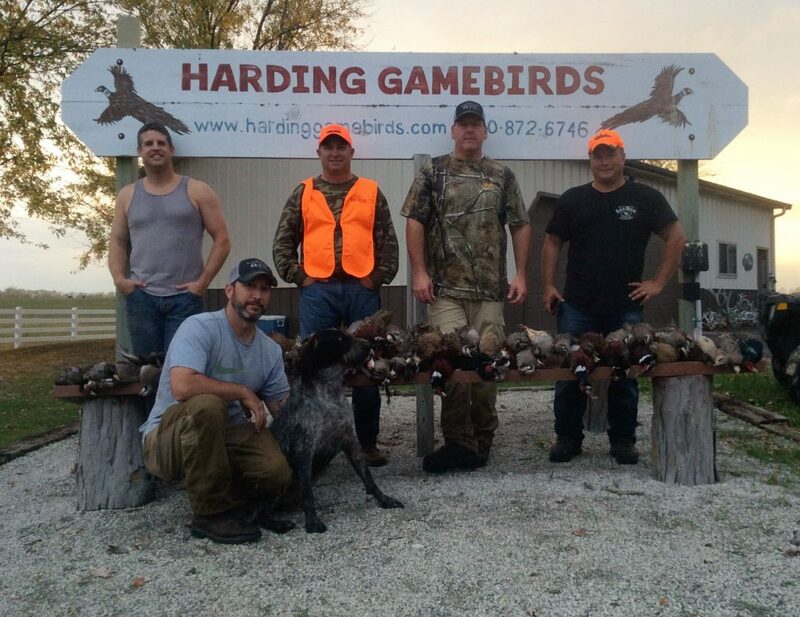 We have plenty of Ringneck Pheasant, Bobwhite Quail and Chukar and are looking for avid hunters who love a good hunt. Please feel free to bring your birddog along for these gamebird hunts. If you don’t have a birddog we will be glad to supply you with one if needed. Since we are a family run operation located in the heart of the Midwest, you are assured to have our fullest attention during hunts on our Missouri Hunting Land. Our Northwest Missouri Ringneck Pheasant, Turkey, Deer, Chukar and Bobwhite Quail Preserve has plenty of room for everyone to hunt on our Gamebird Preserve. In our Pheasant, Deer, Turkey, Chukar and Quail gamebird preserve there are a variety of different hunting experiences waiting to happen with brush piles, ditches, CRP fields, timber, pastures, fence lines, light brush and crop fields awaiting your Missouri Huntingparty. 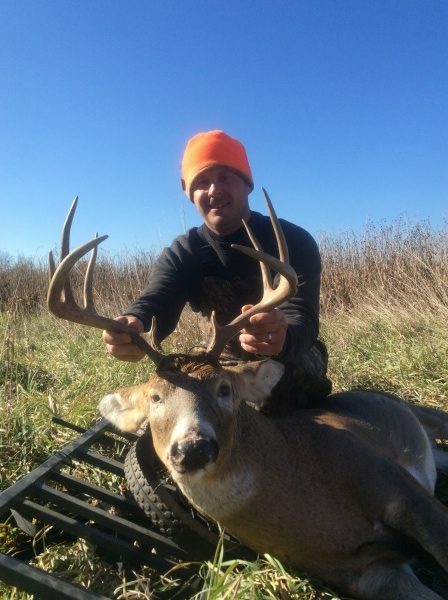 This type of variety ensures that you can get the exact Missouri Hunting experience that you want. Our shooting area on our Missouri Hunting Land, gives the pheasant, chukar and quail the type of cover they need to give you and your hunting party the hunt you deserve . Also, this is a great place to train a new dog, brush up on your current birddog’s experience, go Pheasant Hunting in Missouri or to simply enjoy hunting with “old faithful”. 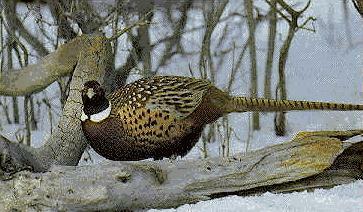 To find out how to get to our Ringneck Pheasant, Chukar and Bobwhite Quail Gamebird Preserve in Northwest Missouri, please check out our maps. We encourage you to take a look at our hunting prices to see that we are more than competitive on our low hunting prices! We are proud of our past hunts and encourage you to take a look at our hunting gallery. If you have any questions or comments please e-mail us at hevret@grm.net or call us at the below numbers. We would love to here from you.